Exclusive items available FREE OF CHARGE to all residents of Anshe Chung Sims and partner estates. 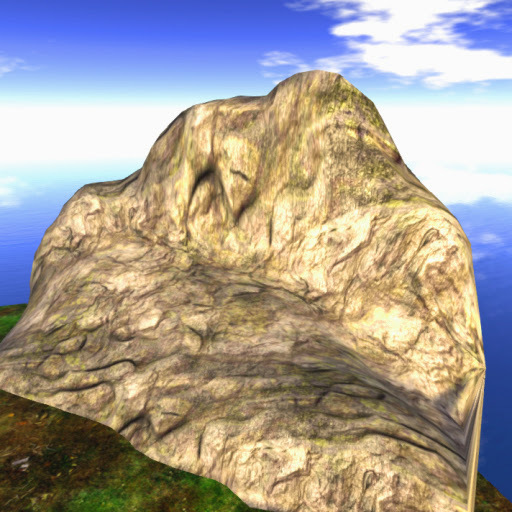 Save thousands of Linden$! Click to pick up your own copy of the library. 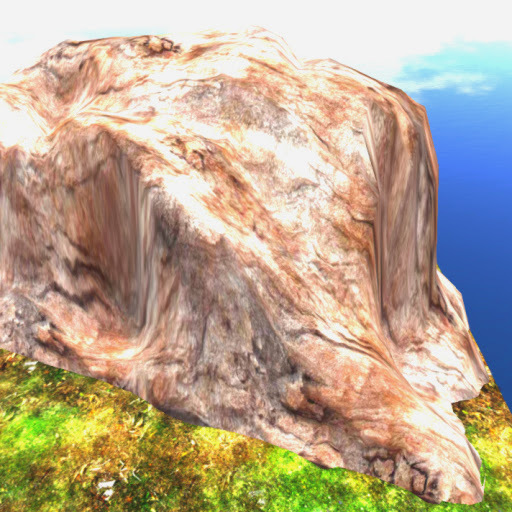 Rocks Fields LandscapingStriving for an item that's so real? Rezz this one and see for yourself! 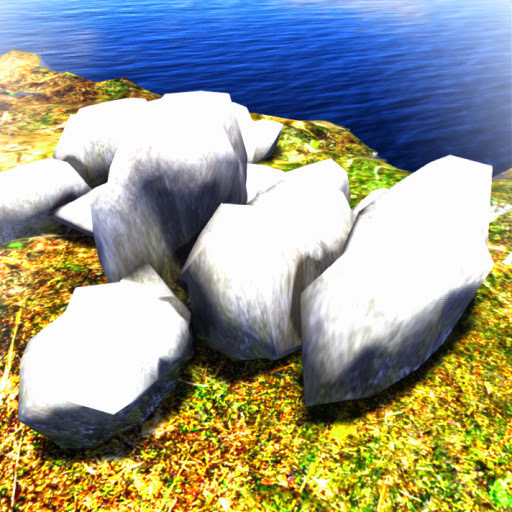 Composed of eight cream-white marble rocks in a mixture of rounded, flattened or sharp-edged boulders riddled with holes, simulating wear from natural elements. Some rocks are covered in thick moss, indicating exposure to humidity. Rocks Fields LandscapingAuthentic rocks for your estates! Sharp, pointed or oblong-shaped dark gray rocks with thick algal and moss growth. 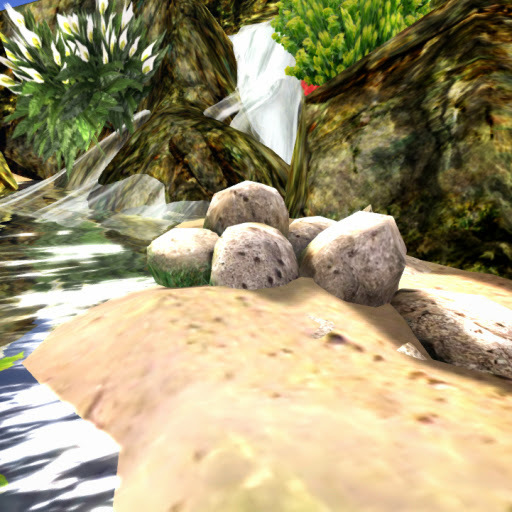 Adds exceptional authenticity to your tropical landscape, Bulgrous Rocks 1 is a fine item for designing tropical paradise complete with waterfalls or lakes, streams and forests. 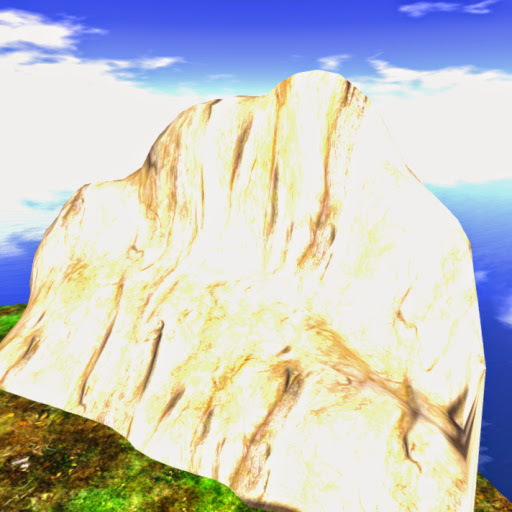 Rocks Fields LandscapingRock formation that will append breath taking sights for your estate, meshed in a realistic way unmatched here in SL. The large, oblong boulders have smooth round edges, dark gray in color and covered in some parts by thick moss. This is the second variation of ACS Bulgrous Rocks series, this item is also an exceptional decoration for tropical themes. 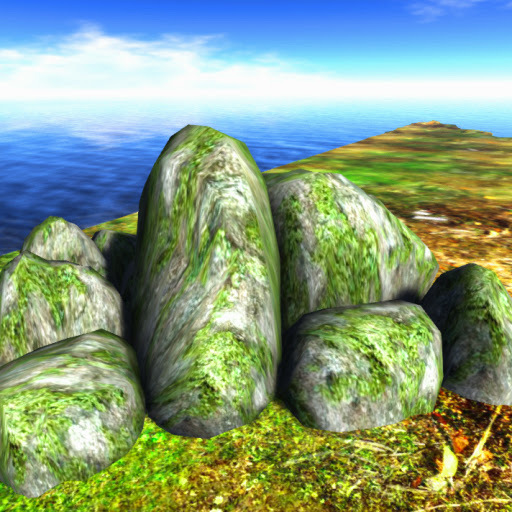 Rocks Fields LandscapingFor a little twist of realism, here's an item worth to have! With rounded-edged limestone in dirty-white color with signs of weathering, this member of the Bulgrous Rocks series is perfect for white sand beaches or as bases for mountains, especially if to be placed near a body of water. Rocks Fields LandscapingLooking for a variety of rocks to suit your estate? try our rocks with variations to avoid dullness and features white rocks with shades of grey in different shapes. Neatly arranged, this item goes along perfectly on clear rivers, lakes and ponds or on white sand beaches. 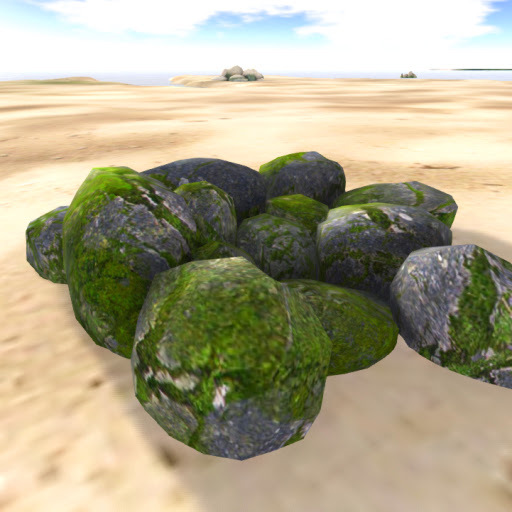 Rocks Fields LandscapingReal world items as if teleported here in SL! Composed of eight white limestone rocks with signs of intense weathering from natural elements.The flattened surfaces of the rocks is a good place to hang out or just sit there reminiscing. 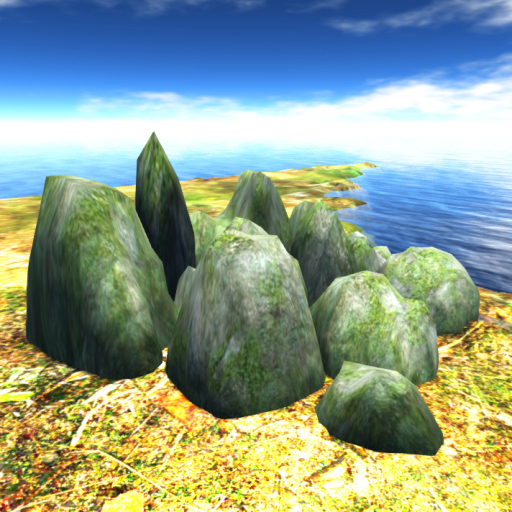 Rocks Fields LandscapingDecorative rock with ten textures to choose! Sounds impossible? Take one and rezz this item and be amazed! 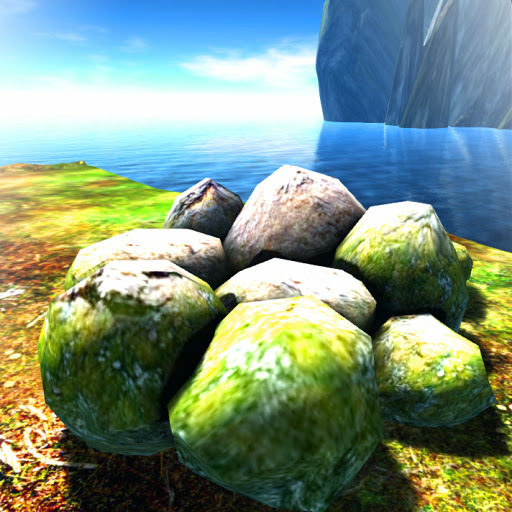 Just touch the rock simply select from any of the ten textures designed according to the seasons. Rocks Fields LandscapingOne monolith ten textures. Sounds impossible? Just touch and choose from any of the ten choices at the menu. You can change the texture according to season or... according to what you want! 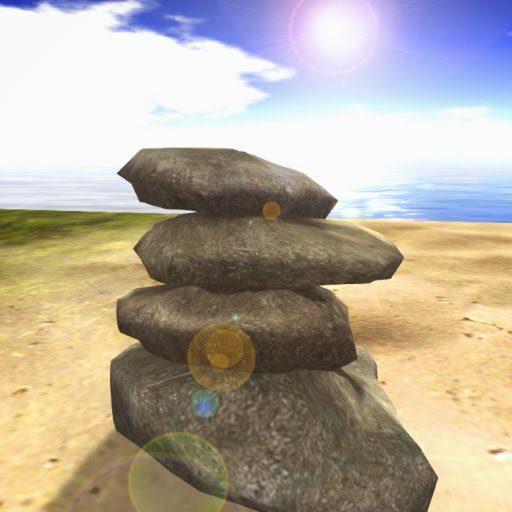 Rocks Fields LandscapingDecorate your beach, parks and sidewalks with ACS Glam Rocks and be among the few who took up rock balancing as an art! Featuring four layers of flat grey rocks stacked neatly in detailed mesh sculpt in three dimension without the intrusion of bubbling! 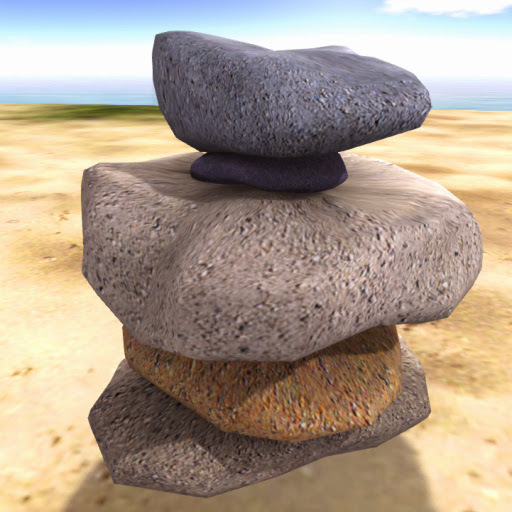 Rocks Fields LandscapingThe art of rock stacking is now in Second Life so be among the pioneers and grab one now! Five layers of flat rocks in pigments of dirty white, blue and orange stacked together for decorative and artistic purposes. Rocks Fields LandscapingFive layers of flat rocks in pigments of dirty white, blue and orange stacked together in extreme balancing precision. 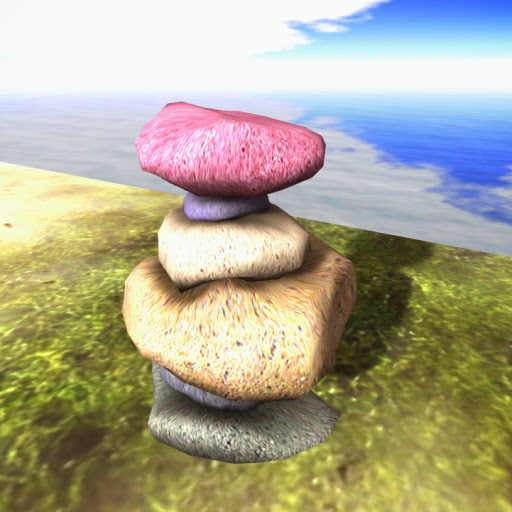 Freestyle rock stacking on a much higher level, have one now! only on ACS. Rocks Fields LandscapingRock stacking as an art? if you see it as an art, this may catch your attention. 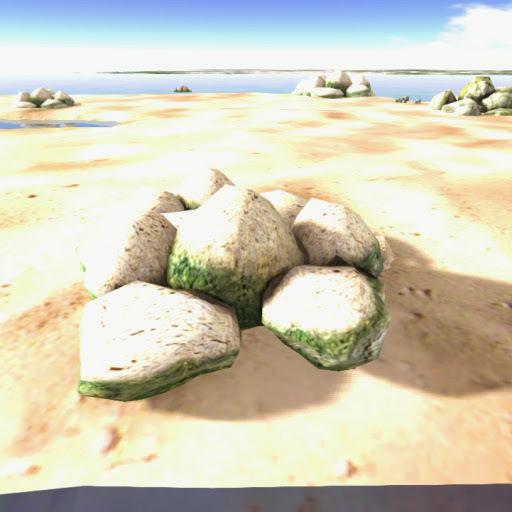 Six rocks of different sizes stacked together; below is a flat green rock carrying the weight of all above it, while the second one is bluish in hue. 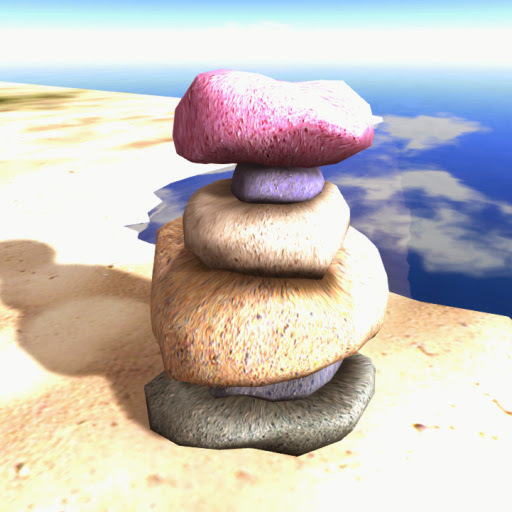 the third rock is large and with corners in orange coat, the fourth is dirty white, blue and at the top is pink respectively. 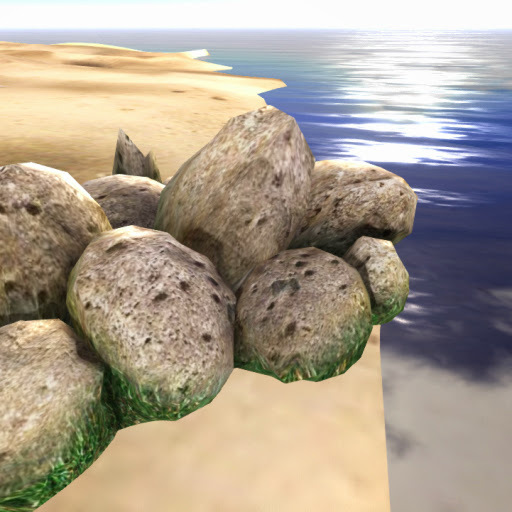 Rocks Fields LandscapingRocks designed to provide the most realistic and natural landscape in a few prims, with many different shapes available to bring life, diversity and beauty to your lands! Sculpted in white rounded marble rock mesh designed for riverbeds incorporated with sounds of gushing water and wildlife found on riverine environment. 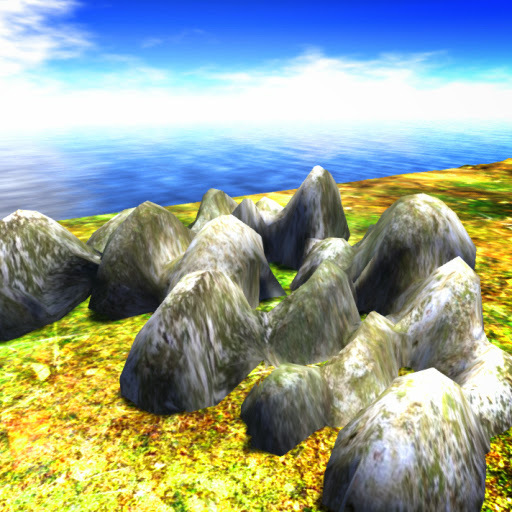 Rocks Fields LandscapingThis add on will spice up your estate with weird sounds of the forests! 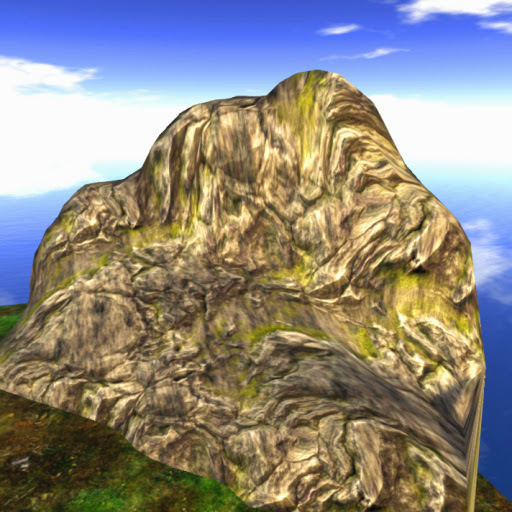 Non-bubbling mesh of rounded dark gray rocks covered in thick layers of moss upgraded with background sounds to surely make your Halloween the most scary in SL. 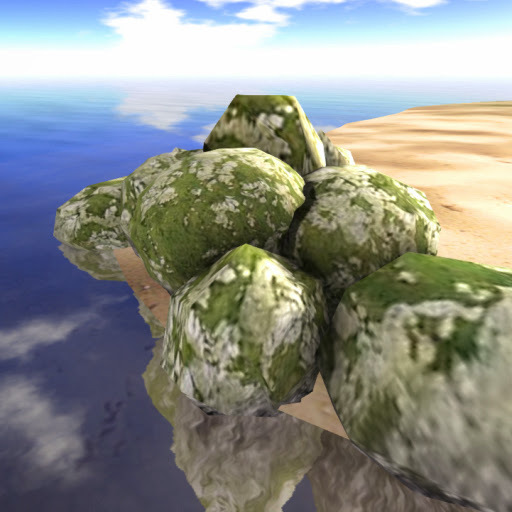 Rocks Fields LandscapingHaving the most jaw-dropping beach decoration is not enough, especially if you desire to have an authentic beach design. 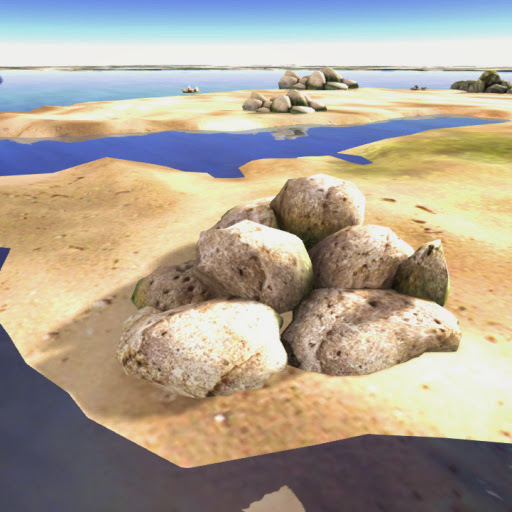 ACS Rocks and Seabirds Sounds is a pile of white sea rocks with integrated audio of seabirds in the wild all packed with excellent non-bubbling mesh for a near-real look! Free for ACS tenants! 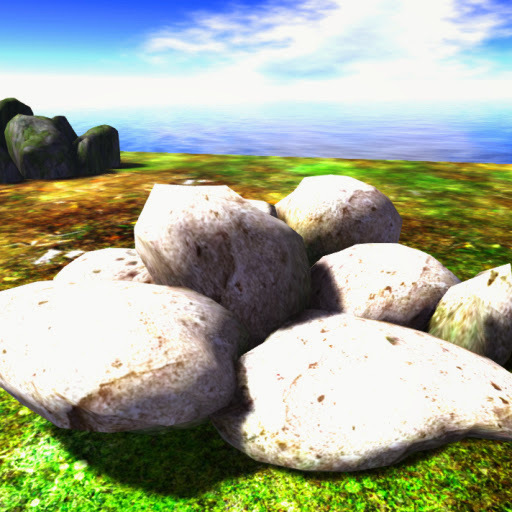 Rocks Fields LandscapingDaub your estate with this accurately detailed large gray boulders with an integrated sounds of a forest at night time. Along sound clips are coyotes howling, crows and other beasts of the night. Spooky? wait until you hear it! Take and rezz one now! Rocks Fields LandscapingLush green grass and trees... what's missing? Try this item featuring white rounded limestone rocks with marks of weathering arranged together. 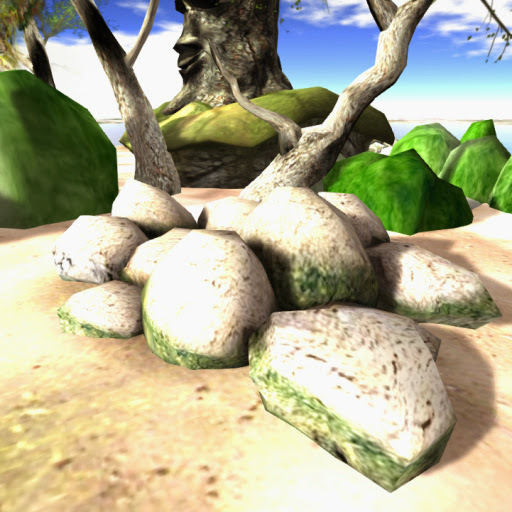 Embedded on the rocks is an audio clip simulating the sounds of summer. Perfect for day dreaming under the shade of tree, isn't it? 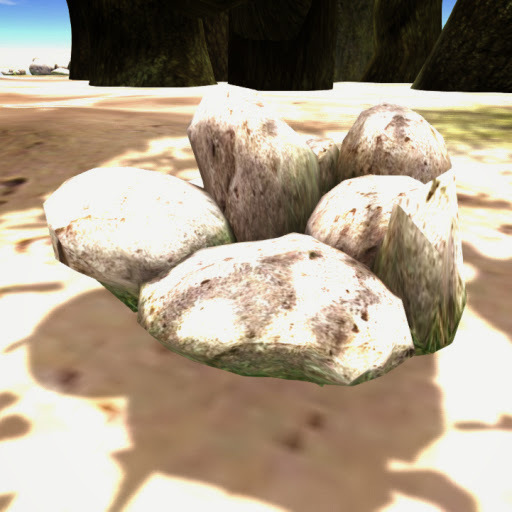 Rocks Fields LandscapingForests in estates can benefit from this subtle but useful item, sculpted in real-life non-bubbling mesh.Though they seem like ordinary pile of rocks, they are scripted with sounds of the tropical forest, to add authentic feel for any forest themed landscape. 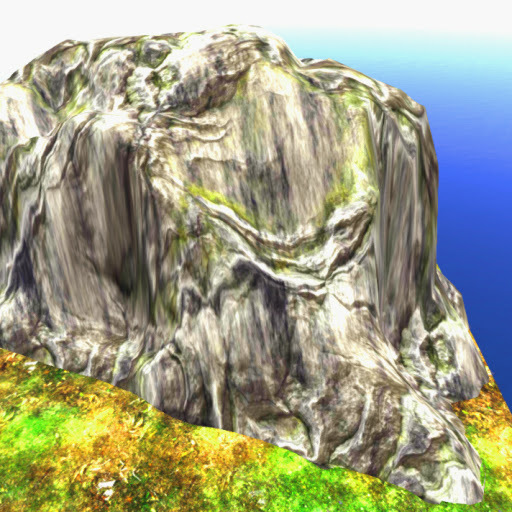 Rocks Fields LandscapingWaterfall mesh seems lacking without its accompanying sounds. Don't worry, ACS got you covered! 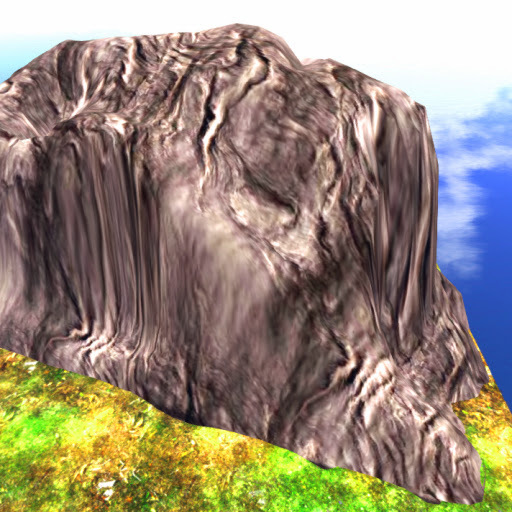 Here is an item that will fill that void as well as an add on to your waterfalls! Presenting cream white limestone rocks scripted with sounds of gushing waters of a waterfalls, plus some forest animals in the background. Surprisingly real sounds, so take one and experience! 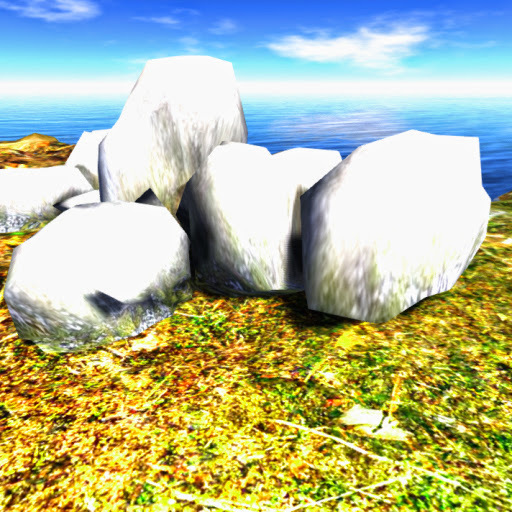 Rocks Fields LandscapingSmall white marble rocks arranged nimbly for an organized effect!Comes with forest animals sounds to further enhance your landscape. Brilliant ideas for forest themes or parks with forest trees and animals. Absolutely free to all our beloved residents of Anshe Chung Sims and partner estates.